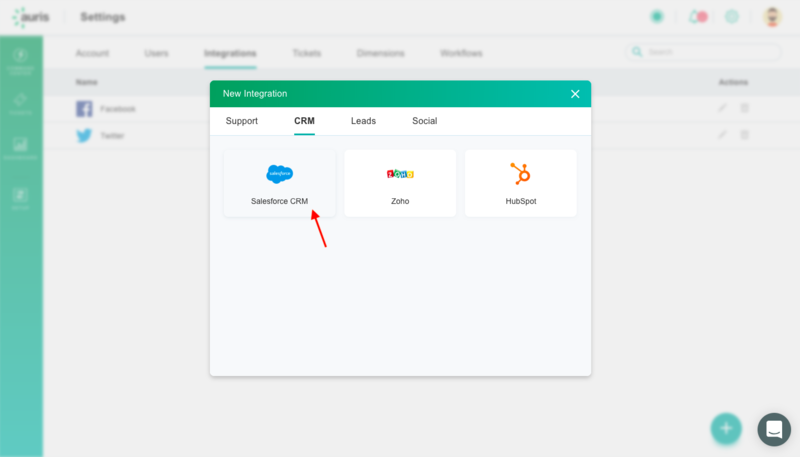 How to integrate Auris with Salesforce and other CRMs? Auris comes with ready integrations with leading CRM platforms such as Salesforce, Hubspot, Zoho amongst others. Integrating Auris with such enterprise platforms has been an important component of our product development strategy. 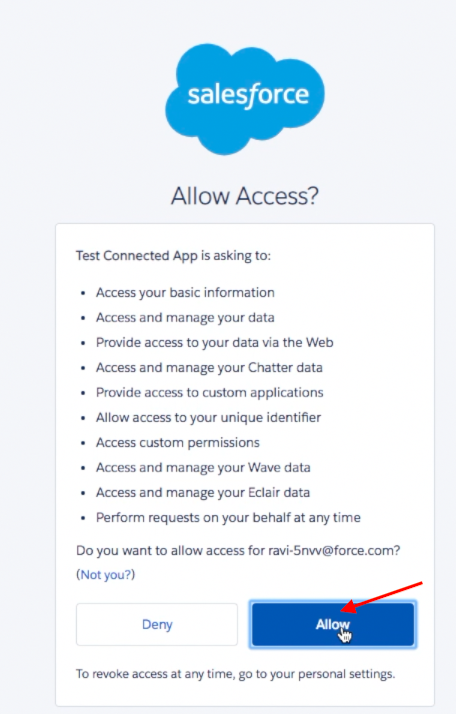 How does a listening platform’s integration with Salesforce help? Have reached out to the brand of their own volition. As with any “marketing qualified” lead (MQL), the lead should be added to sales funnel. And what better way than to directly push such MQLs to Salesforce. How does one integrate Salesforce with the Auris platform? Step 3: You will be prompted to provide consent for the customary permissions. Click Allow. You are done! Watch this video to understand how such integrations work. Can I automate this “push to CRM”? With Auris, you can. Simply go to workflows and write a rule to the effect. One of the data enrichment which Auris does is to do with detecting what we call the “Buying Signal”. You can write a rule which automatically pushes all data points annotates with a positive “Buying Signal” to Salesforce. Oh yeah, as simple as that! Get Auris to work for you and keep the sales funnel brimming! In the perfect world, every customer conversation would be dealt with instantly and by the right person within the brand’s operations team. The reality for most brands? This “best practice” is impractical. Enterprise brands see a high conversation volume which makes monitoring and addressing each conversation a challenge. Prioritization of conversations is therefore important. Influencer alerts are one way to prioritize. Simply put, such alerts notify the right people within the brand or operations teams as soon as an influential person mentions the brand. This ‘as-it-happens’ alert helps prioritize and get the right response out within minutes of the mention. Reduce the risk of crises driven by negative mentions by influencers. Leverage influencer mentions to the brand’s advantage. 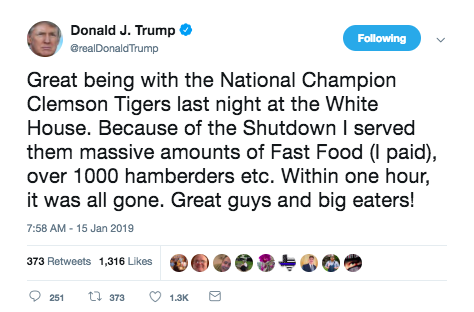 Burger King used influencer mentions to their advantage effectively. 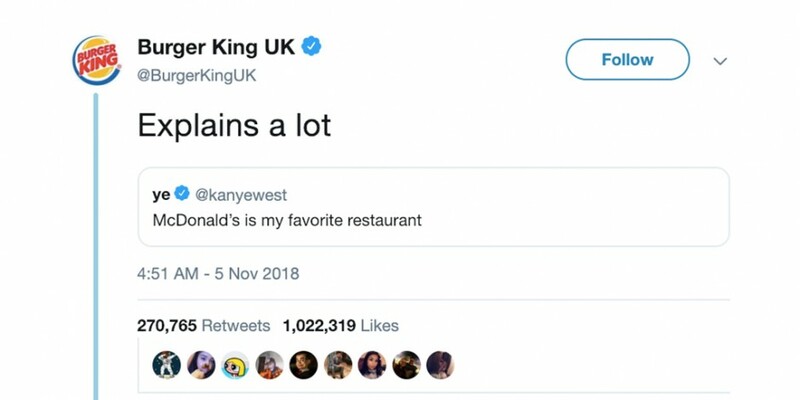 By monitoring influencer mentions, the brand could respond to Kanye’s famous tweet about McDonald’s in a quirky fashion within less than 3 minutes. The result? Millions of reactions to their three-word response! Imagine the significant reach and uplift in the brand’s recall metrics this simple action of the brand would have achieved. Would this be possible had they not monitored influencers effectively? Numerous such examples exist where brands have either averted crisis using influencer monitoring or used influencer mentions to their advantage. How does Auris enable Influencer Alerts? Step 3: Choose the trigger for influencer alerts. For example, any influencer mention with an influencer score of >50 should alert the Agency head as well as the CMO of the brand. You can use multiple variations while creating such rules. Watch this video to see how easy it is to set up influencer alerts. As you go through the setup you would realize that you can make more complex or nuanced influencer alerts using rules. For example, you can create an alert for any influencer mention which carries a negative sentiment or if the influencer uses a specific word or phrase. These variations come in handy while monitoring influencer mentions of brand campaigns or when you have different brand custodians for different regions. By setting up a variety of rules and corresponding actions, brands can monitor and act on influencer mentions in real time. 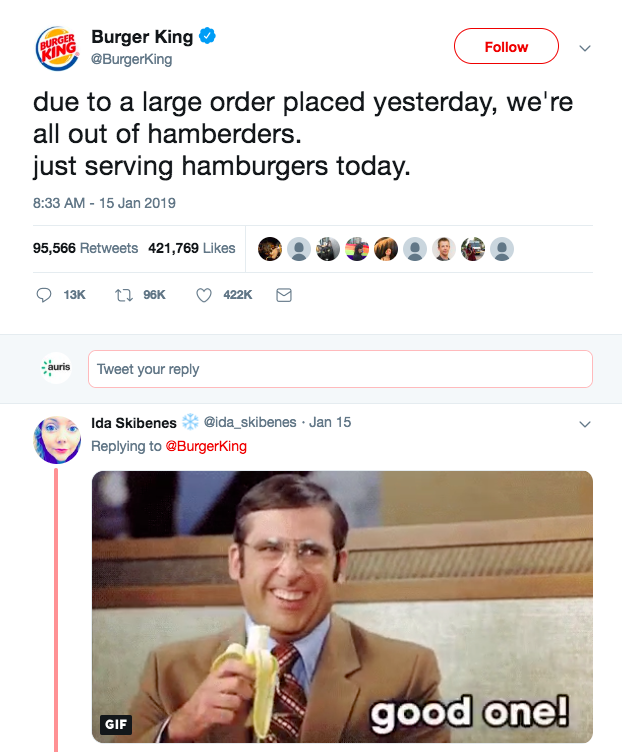 Positive influencer mentions present “viral” opportunities, just like the Burger King – Kanye example. Negative influencer mentions are important to curb potential crisis. In both scenarios influencer alerts can be potentially valuable – one where a brand can get a great mileage with zero marketing spends and the other where the brand can avoid reputational loss worth millions. What should the online reputation management system for a bank look like? Consider any business with a widespread footprint – a retail chain, a national bank or a chain of spa parlors. A common issue which each of these brands face relates to the effectiveness of their brand reputation management program. While such programs are run centrally, the widespread footprint makes it difficult to monitor and address issues and crises as they emerge. We take banks as an example to illustrate the challenges a banking brand may face and suggest ways to manage reputational risks. Multiple, distributed brand assets: Each branch location of a bank typically has some presence of its own on social/digital. Especially with the popularity of Google My Business pages gaining ground, every branch has a google places listing. This makes monitoring of customer conversations around banking services difficult. A wide-range of possible customer issues: Banking is a complex business with a wide variety of products and services. The services range from a simple service such as providing a bank account to a consumer and all the way to providing personalized wealth management services to the top tier of customers. The variety of customer issues are proportionate to the variety of products and services. This makes evaluation of issues and the corresponding response, especially those on public review forums and social media difficult. Multiple, widespread teams responsible for resolving consumer issues: Customer issues in the banking domain are dealt by multiple teams. Some issues are best addressed at the branch level, while others require the head office to be involved. There could be a variety of rather peculiar issues, for instance, issues related to foreign exchange, international wire transfers, investment return issues and the like. The above-mentioned reasons make online reputation management for banks a challenging proposition. Must have features of a reputation management system for banks. How should banks with multiple branches and a wide variety of product offerings manage their online reputation? A good system can play a pivotal role. The ideal system is one which gets all the data at one place, gets that across to the right people within and tracks resolution end to end. In addition, a good system alerts the right teams at the right time about impending crises. What are some of these features of a good online brand reputation management system for banks? Here are five points for your consideration. Data from the multitude of social pages, Google My Business pages, news, review boards local and national should flow into a central repository. Ideally, proprietary data such as the bank’s contact center recordings as well as inbound email complaints should be brought in as well. Any ORM system should be able to integrate multiple data sources. Enterprise social listening and customer insight platforms have this functionality. Must use AI/NLP methods to be able to enrich this data meaningfully, if possible in a manner which is relevant to banking. The users of the system should be able to identify issues by location, related product or service (for ex: is the issue related to loans or investments?) and the root cause of issues (for ex: customer service at the branch or refunds?). This data enrichment is possible using nuanced NLP techniques. With the progress being made on such numerical methods and the availability of enabling computing infrastructure, a good system should be deploying algorithms to enrich banking data. Should be capable of automated/programmed routing of issues to the right people. You need a system which can route the issue to the right people at the right time within the organization. The data enrichment helps decide whether the issue should go to the local branch’s manager or to the headquarters based on how the consumer conversations have been characterized by the system’s analytics engine (refer to #2). The ORM system should be able to track the response metrics or provide integrations with support desks or popular CRM systems. The reputation monitoring system should be able to track responses all the way to issue resolution and provide data on turnaround time (TAT) by location, function, issue type. 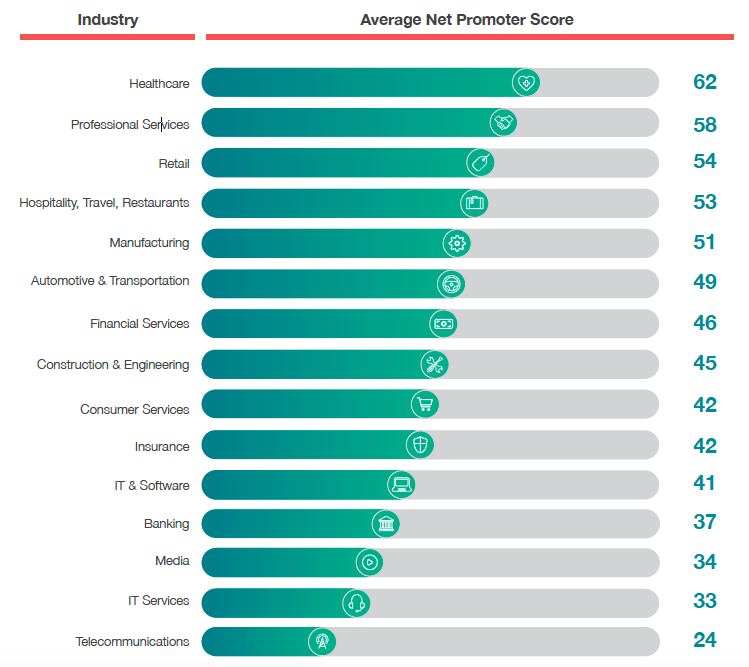 This data and analysis is a valuable input when the brand thinks through future customer experience initiatives. Alternatively, the system should be able to push data into popular support software, Zendesk for example. Integrations are therefore important when considering deploying ORM systems for banking brands. A bank’s reputation is paramount because customers trust a bank with their life savings. Banks can ill afford an iota of doubt in the customer’s mind, let alone deal with a full-blown crisis. To effectively manage reputation of a bank, one needs to be able to set up alert. A simplistic example: When the volume of conversations carrying a negative sentiment spike beyond a set threshold the brand team should get automated, ‘as-it-happen’ alerts. This is important to nip brand crises situations in the bud. A very few enterprise online reputation management systems pack these features. Auris’ banking solution addresses each of these points, making it a very robust solution for the industry. A popular saying goes as follows: “Adventure is the life of commerce, but caution is the life of banking.” Deployment of online reputation management systems for banks is therefore no luxury, it is a must. Systems with the characteristics listed above can provide a good shield for your brand’s safety.